As of April 20, Stephen Colbert’s portrait will no longer be at the Smithsonian’s National Portrait Gallery. Created for the final season of The Colbert Report, the show loaned the comedian’s portrait to the Smithsonian in December 2014. This was the second time a portrait of Colbert has been in the museum. The first was in 2008, when he contacted the Portrait Gallery hoping to donate his portrait from the show. The museum agreed to go along with the joke and temporarily installed the portrait. As with many other items that bore the Colbert stamp of approval, the museum experienced a “Colbert bump”—crowds lined up to get their picture taken with Colbert’s portrait. After its stint at the Portrait Gallery, the 2008 portrait was accepted into the collection of the Smithsonian’s National Museum of American History. 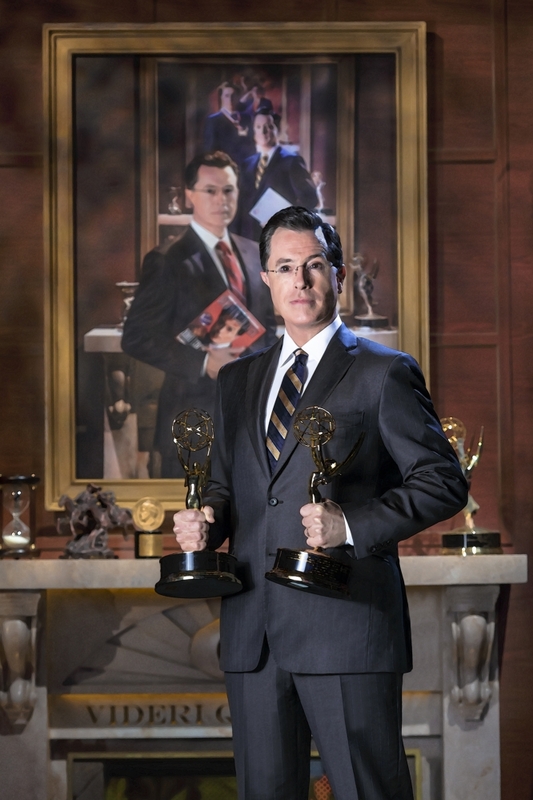 The painting currently hanging in the museum is a six-deep image of Colbert bearing various props that reflect the entertainer’s over-the-top TV persona, from Emmy statuettes awarded for The Colbert Report to a copy of Colbert’s best-selling book American Again: Re-Becoming the Greatness We Never Weren’t. Through April 12, the portrait can be viewed on the second floor of the museum where the earlier iteration of his portrait appeared: between the bathrooms and above the water fountain. The National Portrait Gallery is part of the Donald W. Reynolds Center for American Art and Portraiture at Eighth and F streets N.W., Washington, D.C. Smithsonian Information: (202) 633-1000. Website: npg.si.edu. Follow the museum on social media at @NPG, Facebook, YouTube, Instagram, and Tumblr.